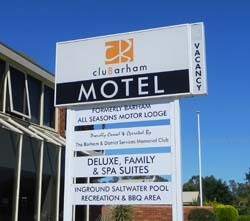 cluBarham Motel is a 28 room motel, the most modern and newest in town. With well appointed rooms including sitting area and large modern bathrooms. They make your stay enjoyable and comfortable. Spa suites for couples for that night away, to large family rooms that sleep up to five and everyone in between. Our Queen rooms are well appointed including tube chairs & coffee table. 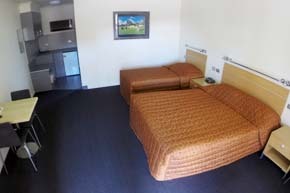 Rooms are non-smoking & include wall mounted Flat screen TV, Free Wifi, Kettle & toaster. 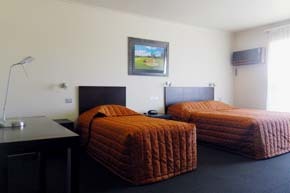 Our Queen & 1 single bed rooms are spacious & modern. With sitting area as well as table & chairs. 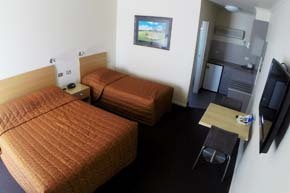 Rooms are non-smoking & include wall mounted flat screen TV, free Wifi, kettle & toaster. 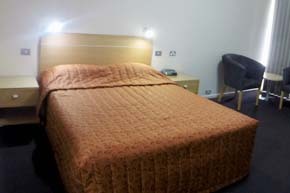 Our Queen & 2 single bed rooms cater for that extra guest. Comfortable & well appointed. 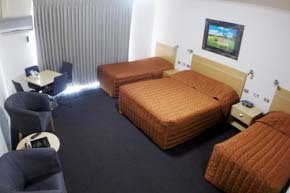 Rooms are non-smoking, include wall mounted flat screen TV, Free Wifi, Kettle & toaster. 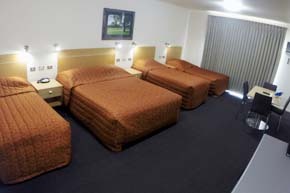 Our Family rooms offer space and comfort for all. With a large table & spacious bathroom. Room is non smoking, includes a wall mounted flat screen TV, Free Wifi, Kettle & toaster. Our Disabled accommodation is well appointed with wheelchair access, walk in shower and assistance rails in bathroom and bedroom. Non smoking room with wall mounted TV, free Wifi, Kettle & toaster. 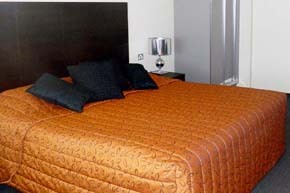 Our Executive rooms include a queen & single bed in a room that is light & spacious. With an additional desk, sitting area, large shower and toiletries to pamper. Non smoking with wall mounted flat screen TV, Free Wifi, Kettle & toaster. Our large and light Spa suits have a king bed. They are well appointed with a corner spa, sitting area, desk, & kudos Spa toiletries. Non smoking rooms with wall mounted flat screen TV, Free Wifi, Kettle & toaster.